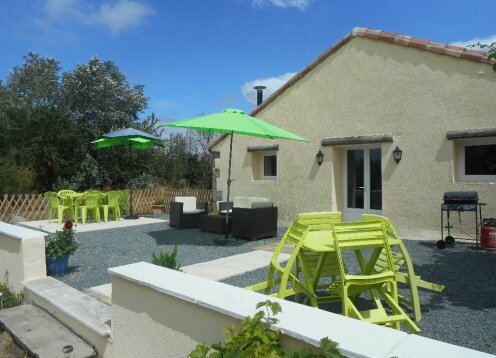 La Tuiliere is set in beautiful and peaceful countryside, a perfect setting for large group family holidays with children and babies. Lovely,spacious Gite,private heated pool,large Garden with countryside views yet only 2 km to lively Village with shops,restaurant etc. Our ‘beautiful star’ is a stylishly converted 19th century farmhouse and loft apartment combining rustic charm and contemporary chic, in an unspoilt, peaceful hamlet, surrounded by stunning views.